They make Italian ices in a variety of sweet, refreshing flavors. 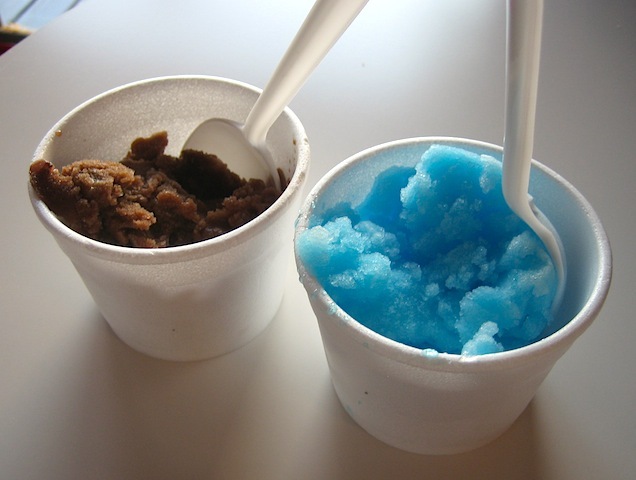 Here, chocolate and blue raspberry. You order at the counter and they bring it out to you in the small but colorful dining room. There are also picnic tables outside. Beer, wine, and Maine Root sodas. OMG OMG I think I’m in love! Oh. My. Gawd. Guess where I’ll be having lunch this week. Just had lunch there today. 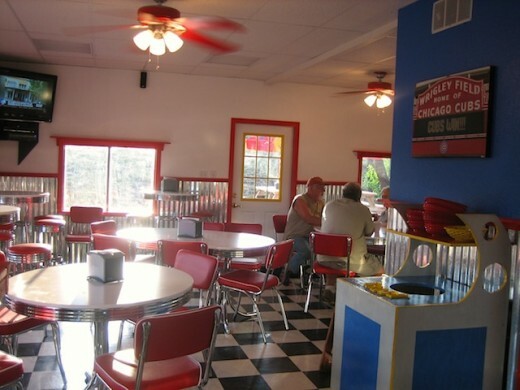 What a great place, just as good as you will find in the Windy City. I ‘ll be going back here for lunch often. They’ve only been open for 6 days and I’ve already eaten there for 3 days in a row! The food is that good! Each time I’ve been there I’ve tried something new, and guess what? IT’S ALL GOOD! Bring your friends, bring your family, and tell your neighbors that there is finally a place out by the lake that really nails it! 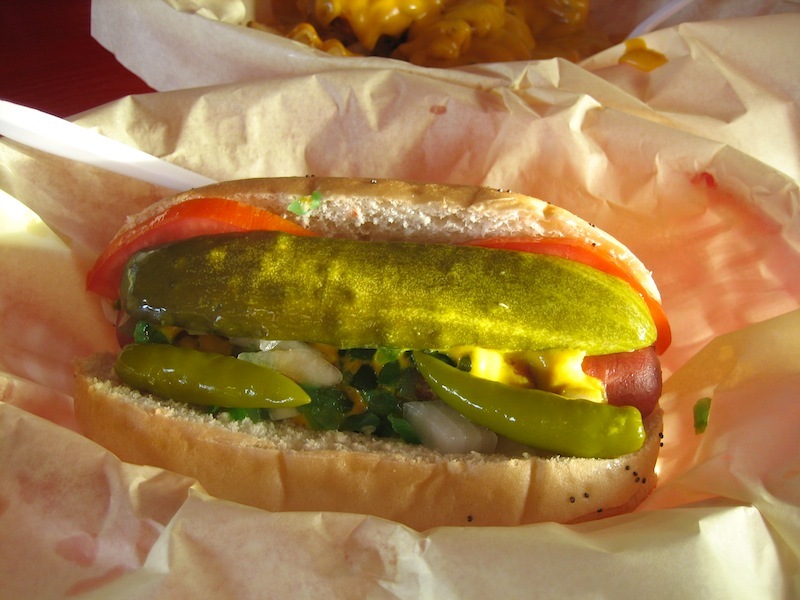 It’s about time that we had a place that offers REAL Chicago hot dogs and sandwiches!!! Had lunch there yesterday. So good! Loved the fried onion strips! Almost went back again today. I have watched these guys really pull it together to get this place open. It wasn’t easy but it was their goal to bring you the REAL thing. Thank you all for your support! If you haven’t been there you are missing out. The Italian Beef Hotttt!!! and Wetttt!!!!! The best sandwich I have ever had. (No Joke) They really do a good job. The egg rolls are really good, the texan dog is spot on, Italian Ice hits the spot and good service too. What else could you ask for? this place is amazing!! Food is great, staff is awesome, just overall a great place. I’ve found my new “spot.” GO CHI TOWN!! 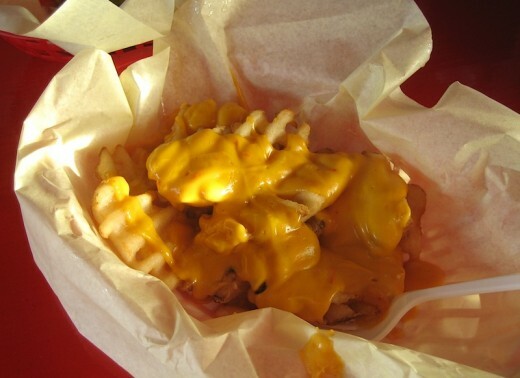 Great fries! and they are treating kids to the small Italian ices – super good stuff. 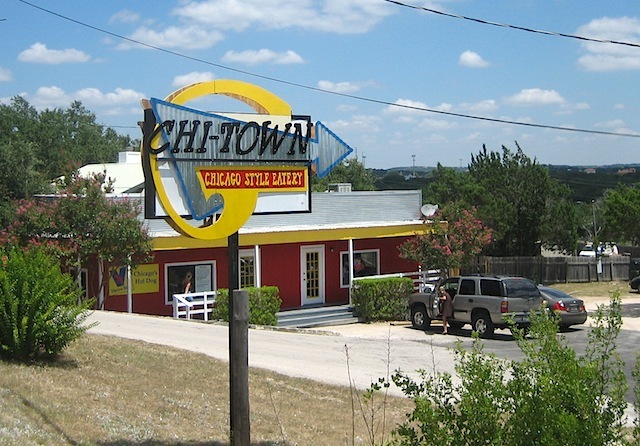 What a great way to get a taste of Chicago right here in Texas. THANK YOU! I hope they play the Bears Games every week. when me and my friend went, we were expecting it would have pizza. when we saw it didn’t, we scanned over the menu and everything on there sounded great. after a few minutes of looking over the menu we finally chose what we wanted. i have been back many times and still haven’t found something I don’t think is amazingly good . GREAT JOB CHI TOWN!!!! LOVE it, and now we no longer have to drive to Waco to get Dublin Dr. Pepper. Very yummy! Relaxing atmosphere, Bears games every week. The cheese fries and Italian beef were great. They even had pizza puffs! We love to eat here every weekend that we are in town. BEST hotdogs in ATX area!!! Love the salad Too!!! I love their bacon wrapped hotdog! The thing is huge and the blueberry soda there is amazingly good. I will certainly be back!